Whether going to visit the grandparents, camping, or taking a trip to Europe, Tots On-The-Go offers the most convenient and useful kids travel products for sale or rental. Check out the Tots On-The-Go Baby and Kids Travel Gear Online Boutique for must have travel items for families, such as the very popular Bubble Bum Car Seat. Flying with children? Don’t leave home without thei #1 best selling CARES harness or Flyebaby Hammock. Road trip more your style? The Snack & Play Travel Tray is their favorite for long trips. You can even call for advice and they are always happy to help! Tots On-The-Go is generously offering my readers a discount- 15% off for travel store items- just use code “15travel”. Tots On-The Go also offers baby equipment rentals. Tots On-The-Go serves several areas and they stand out from competitors due to the quality baby rental equipment. They rent commercial grade cribs, new car seats by Britax, strollers by BOB, Phil&Teds, Uppababy, high chairs by Valco and more quality gear. They are corporate owned therefore customers receive the same quality service at all our locations. They continue to grow and will soon be found in all major family tourist attractions! Traveling with kids and especially babies can sometimes be overwhelming. 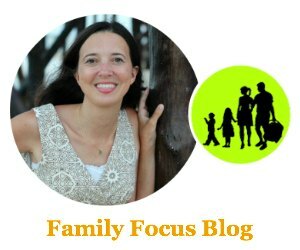 Where do you begin when you think of all the stuff you have to take with you for your kids? Tots On The Go helps you get started with their Packing Checklist for Traveling with Kids and lots of other helpful traveling with kids tips. Hope you enjoy and have many merry travels!